We are pleased to provide you with information on products and services that might be of interest to you. Want to keep receiving these valuable messages in your inbox? Click here<http://sci.scientific-direct.net/wl.html> to find out how. Scientific Data is a new open-access, online-only publication for descriptions of scientifically valuable datasets. Through a new type of content called the Data Descriptor, traditional narrative content will be combined with curated, structured descriptions of research data, including detailed methods and technical analyses supporting data quality. 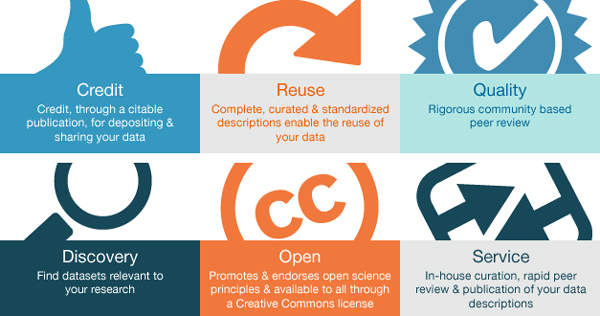 Data Descriptors will be complementary to both traditional research journals and data repositories, and will be designed to foster data sharing and reuse - ultimately to accelerate scientific discovery. Hosted on nature.com<http://sci.scientific-direct.net/c/1091675/cd929a5364a31295/4> — the destination for millions of scientists globally every month — Data Descriptors will be disseminated to the widest possible audience through a programme of continuous online publication. or follow us to stay informed. If you do not have a Nature.com<http://sci.scientific-direct.net/c/1091675/cd929a5364a31295/16> account and wish to discontinue marketing e-mail services from Nature Publishing Group (not including Table of Content services) please click here<http://sci.scientific-direct.net/c/1091675/cd929a5364a31295/17>. If you are a Nature.com<http://sci.scientific-direct.net/c/1091675/cd929a5364a31295/18> registrant and no longer wish to receive these e-mails or wish to discontinue e-mail services from Nature Publishing Group please update your online account Modi fy My Account<http://sci.scientific-direct.net/c/1091675/cd929a5364a31295/19>. For further information on technical assistance<mailto:registration at nature.com> | print subscriptions<mailto:subscriptions at nature.com> | other enquiries<mailto:feedback at nature.com>. © 2013 Nature Publishing Group, a division of Macmillan Publishers Limited. All rights reserved. You have received this e-mail in the genuine belief that its contents would be of interest to you. To not receive these messages from Scientific Direct or other carefully selected organizations, please go to our preference page<http://sci.scientific-direct.net/r/r.asp?1091675&cd929a5364a31295&H>.